The estate planning attorneys at Wirth Law Office provide assistance with a full range of estate planning services for clients in Tulsa, Oklahoma and surrounding areas. An experienced estate planning attorney knows how to help you achieve the legacy we all want — a secure future that provides for you and your loved ones. Our attorneys can tailor Wills, Trusts, Powers of Attorney, Living Wills and Advanced Healthcare Directives to your specific needs. Together, we can protect your assets, minimize yours taxes and ensure that your wishes come to fruition. 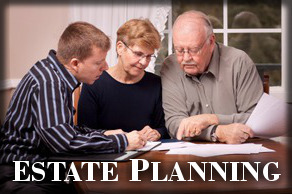 Estate planning today is a complex maze of state and federal laws. Simply put, estate planning is a means for you to make decisions now about your future and the future of your assets. Without an estate plan, someone else may decide on your behalf, regardless of your preferences. We’ve all heard the stories about reclusive millionaires who leave their estate to charity, or even to a pet. More often, people make estate plans when they have children, acquire property or new wealth, get married or divorced, learn about a medical condition, travel or realize they’ve not previously formalized their estate plan. New legislation and case law in each of the 50 states constantly shifts the ways various states handle probate and intestate distribution of assets. The manner in which you manage your assets can also affect your eligibility for benefits under Social Security, Medicaid and Medicare. Because of the ever-changing rules, it’s important to consult an attorney any time you realize significant change in your financial position or your life circumstances. It can be penny-wise and pound-foolish to execute a standardized Will or Trust that might not comply with Oklahoma state laws. Estate planning attorneys at the Wirth Law Office generally work with clients to achieve two estate planning goals. We first rely on our expertise and experience to eliminate or reduce death taxes. We then assemble planning resources and legal instruments that help clients avoid probate, which can involve high costs and unnecessary frustration. A living trust (inter vivos) often accomplishes both of these goals. A living trust can let your loved ones avoid expensive, time consuming probate and sometimes can reduce your tax burden. Find out today if a living trust may be the right option for you, and learn about other available options by calling an estate planning attorney at Wirth Law Office (918) 879-1681. If you would like a free consultation with a Tulsa, Oklahoma estate planning lawyer, call the Wirth Law Office – Tulsa at (918) 879-1681 or toll free at 1 (888) Wirth-Law. If you prefer written correspondence, you may submit a question through the form at the top right of this page.